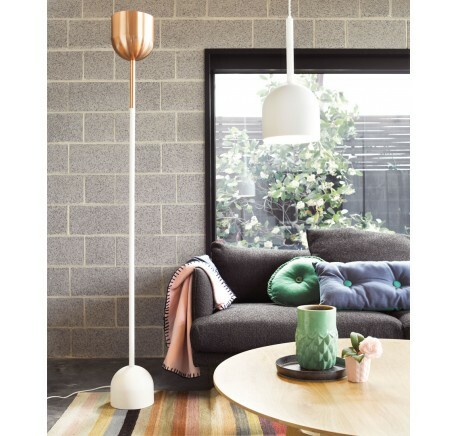 A look back at the top interior design trends for spring…..it seems playful and bright Scandinavian and luxe glamour looks stole the show this season. Marble, especially Carrera has been a very popular interior design trend this spring. Marble accents in a home can really add a luxe feel and will never go out of style. 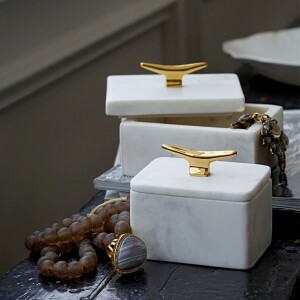 We’re seeing a lot of accessory items such as jewellery boxes, bathroom soap dispensers and vessels around. 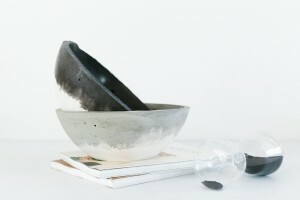 Kitchen decor such as marble cheese boards and chopping boards and mortar and pestles have been a hit too. Rose gold is so hot right now, everything from pendants to photo frames to candle holders and even cushions are sparkling in rose gold. Stainless steel has done the rounds and now rose gold is the ‘go-to’ metal for a designer edge. A good place to use rose gold is the bathroom – think tapware or accessories, it will make any space feel uber glamorous. The key is to use sparingly and not to over do it. Soft hues and watery tones are big – very big. Think teal, aqua, baby pink and soft grey – layer them all for this season’s trend. This look often works best paired with ‘Scandi style oak furniture or white. Cushions, throws and accessories in pastels are in every large interior retail store at the moment. Freedom is stocking some beautiful water-colour style artworks that will bring together this soft and calming look. Move over suede – velvet is back! And thank goodness it’s not the brown 70s kind. 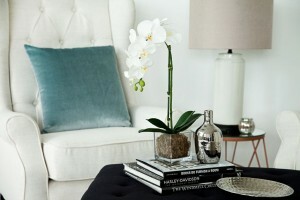 Most on-trend upholstery will feature velvet in either blue hues (navy or duck egg blue) or steely, grey tones. If you are going down the velvet road don’t be shy. Velvet will be the draw card of any room, so sofas or occasional chairs will work well. Velvet looks amazing when piped in white fabric, it’s a very top end look and if you stick with rich, deep colours it won’t date. Concrete has made an appearance this season in particular through accessories and lighting, giving a modern industrial edge to the interior. This look works best for more minimalist interiors. 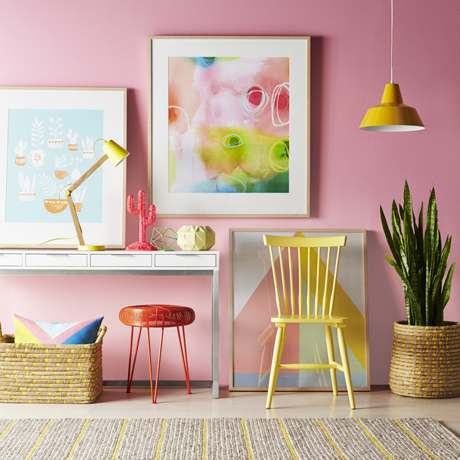 To achieve best result pair concrete with wood furniture to soften the heavy commercial vibe or try a coloured concrete (such as baby pink or soft blue). Concrete kitchen benchtops and feature walls are also very big right now and work well in contemporary properties especially with Industrial and Scandinavian looks. Vault Interiors can help you select furniture for your home with our turn-key furniture packages. For more information on styling your home for sale or to enquire about our furniture packages, contact us. We’d love to hear what your favourite interior trend of the season is? Comment below to share your thoughts.